A+BE: Architecture and the Built Environment is an open access series publishing Ph.D. theses in the areas of architecture and urban design. The journal only considers work for publication after it has been approved by the doctoral committee at the author’s university, and each author “is required to provide the doctoral regulations of their university, and the public announcement of their defense as proof that their work is positively reviewed.” The theses may be downloaded directly from the site in PDF format, or purchased in paperback through the site’s online ordering system. Thus far, all eight publications have come from the Delft University of Technology in the Netherlands, although two authors are associated with other institutions, as well (Universidade Técnica de Lisboa, Arquitectura and the National Trust Sri Lanka). 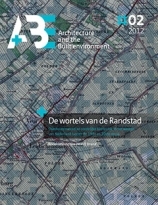 Publications include: The Roots of the Randstad, Customer-Driven Housing Stock and Empowerment, The Sigiriya Royal Gardens: Analysis of the Landscape Architectonic Composition, CityMaker: Designing Grammers [sic] for Urban Design, Private Sector-led Urban Development Projects: Management, Partnerships & Effects in the Netherlands and the UK, Urban Vitality in Dutch and Chinese New Towns: A comparative study between Almere and Tongzhou, and International Façades – CROFT (Climate Related Optimized Façade Technologies). The journal site features a current issue and provides access to the entire archive, and the site is both searchable and browsable (by issue, author, and title). Although limited in scope so far (it’s only been around since 2011), this title offers immediate access to architectural scholarship of interest to Europeans and others studying urban planning, and is recommended to them.